Arsenal were far from impressive at the back throughout last season, they failed to make opponents struggle before scoring against them. Among the top six clubs in the League last season, the Gunners conceded most goals. Since Unai Emery took over from Arsene Wenger, the former Sevilla manager has made the defensive department is main priority this summer as he hopes to provide a solid back-four, who will be very difficult to get past in the coming season. Juventus defender Lichtsteiner; Dortmund’s Sokratis Papastathopoulos and Lorient’s defensive midfielder Guendouzi were all brought to the club as part of the Manager’s desire to have a strong defensive setup heading into the 2018-19 season. 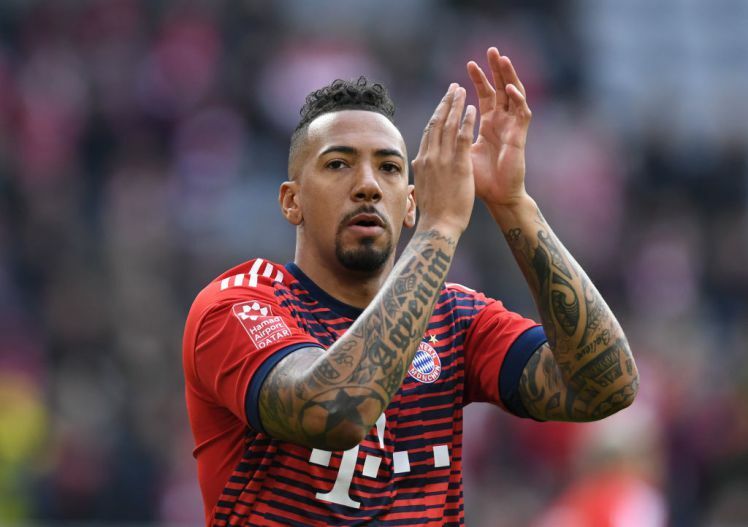 However, according to reports from Germany, Emery is set to rival United for Bayern Munich centre-back Jerome Boateng this summer. It was reported that the Red Devils have made enquiries about the player’s availability as Mourinho wants to have him at Old Trafford before the close of the ongoing transfer market. The player, who presently receives £120,000 as weekly wages, is said to be heading out of the Allianz Arena this summer as he seems not to be in the Bavarians’ plan for next season. With his experience and his no-nonsense defensive abilities, the German international will definitely be a hit with whomever he signed up for between the two Premier League giants. He is set to cost £45m as the Bundesliga Champions look to make huge profit from his sale.